I am awful at saving money. I mean seriously bad. You know that phrase ‘money is burning a hole in your pocket’? I’m pretty sure it’s based on me. A money box! I bought this one from Tiger, a store that I absolutely love. It has the most amazing, quirky and fun selection of stock – I’d really recommend taking a look if there is a shop near you. Plus everything is really cheap! 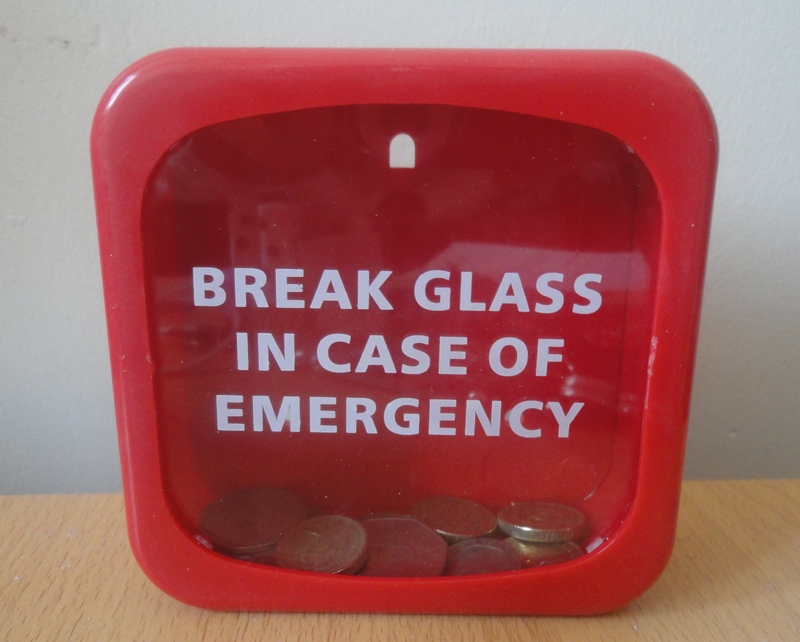 So anyway, the money box for £3 from Tiger and, as you’ve probably guessed, I have to break the glass to get to my money. That’s part one of the ‘Rachel-wants-a-holiday’ saving scheme. Part two is thus; I always buy things on my card. I very rarely have cash. But whenever I go out with friends I take cash out as its just easier in bars – anywho, I have a habit of just spending notes when I’m drunk… For some reason I can’t seem to count up my change to buy drinks very well so I end up with loads of coins which invariable get frittered away. Until now! All my change at the end of everyday will go in the money box! Part three: no coppers. I hate coppers. Are you guys as hopeless as me at saving? How do you save money?? Any tips would be greatly appreciated! Leave comments and links below so I can have a read.